Regardless of what year you came into this world, we can all learn a thing or two about style from our wiser fashion counterparts. These are the women who have lived to see generations worth of trends come and go and who have spent the better half of a lifetime honing in on what they can now claim as a strong sense of personal style. Since this group of women offers a wealth of knowledge, I was curious to know what kind of style lessons they can teach the rest of us, especially when it comes to a topic as timeless as denim. I spoke with two of the many chic older women I've taken to following on Instagram for style inspiration: Grece Ghanem, a 54-year-old from Montréal with a penchant for print-mixing and "Old Céline," and Renata Jazdzyk, a 50-something from the UK you've seen wearing all the buzzy street style looks. Both women shared the "mistakes" they've admittedly made when styling or maintaining their favorite pairs of jeans, what they learned from each that they want everyone else to know, and the inspirational jean outfits they're wearing now. 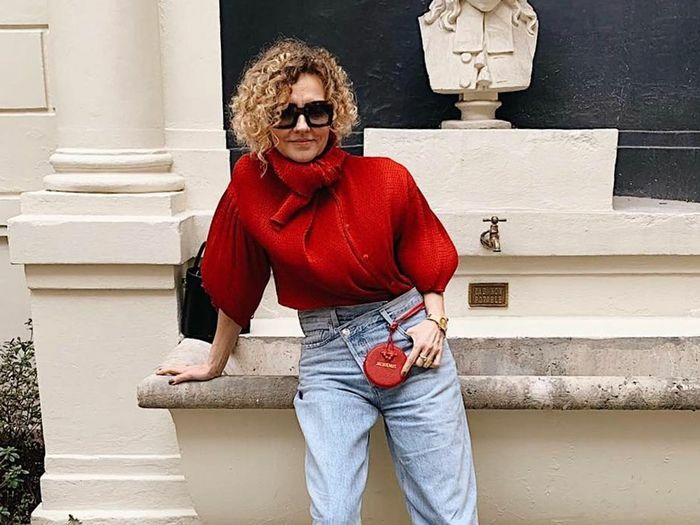 Keep reading to discover four denim-wearing mistakes they've made, shop the best jeans for women over 50 (but really anyone), and get inspired by their best jean outfits along the way. Next, the new skinny jean trend your ankle boots have been waiting for.